Design expert Jie Pambid answers reader questions sent through our Facebook page! Interior designer Jie Pambid graduated at the top of his class at the Philippine School of Interior Design (PSID), ranked first in the Interior Design Board Exams and is now recognized as one of the country’s most talented and trustworthy design experts. However, for the thousands of students that he has mentored for nearly two decades as a professor turned Dean of Students at PSID, Jie’s greatest achievement is the part that he has played in training upcoming interior designers. With his guidance, encouragement, and unwavering commitment to bring out the best in every student, a number of PSID alumni have become respected in the field as well. Jie’s passion for excellence is reflected in his work. He is punctual, listens to his clients, and exceeds expectations in every home that he designs. 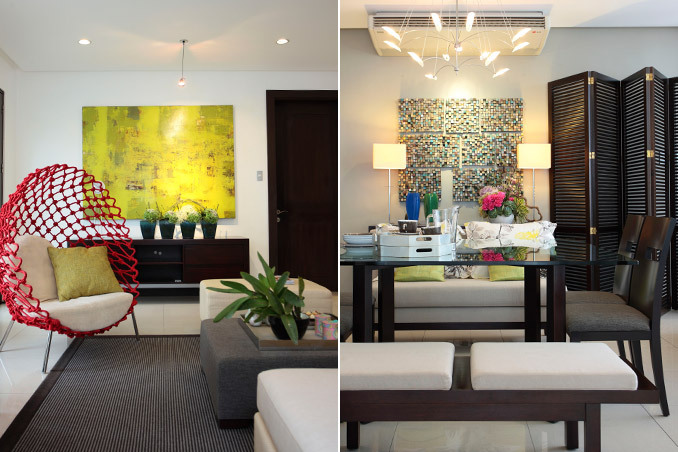 He turns every project that he works on into something special – be it a cozy and compact condo or a larger-than-life mansion. While he is an advocate of classic and traditional Filipino design, his impressive portfolio contains different styles that would appeal to everyone.